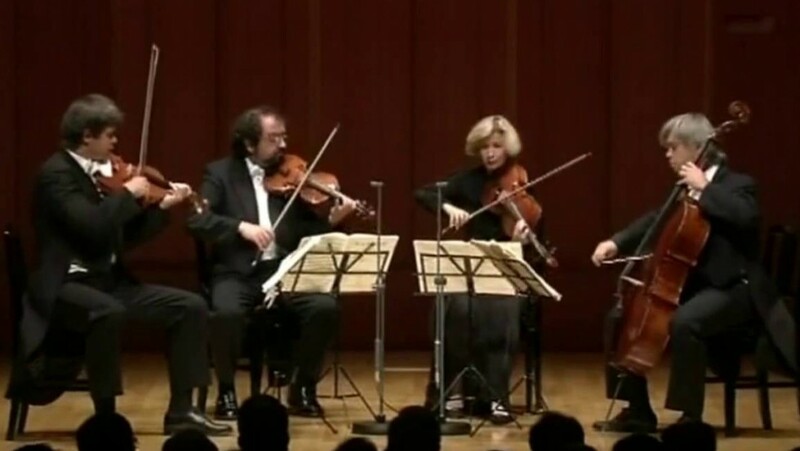 Celebrity Series audiences will remember the Hagen Quartet’s thrilling Boston debut in 2012. The renowned Salzburgers, siblings Lukas (violin), Veronika (viola), and Clemens (cello), and violinist Rainer Schmidt make their much-anticipated return to the Celebrity Series. Despite his wretched state, physically and emotionally, at the start of 1824—brought on by the mounting effects of the syphilis infection he had contracted about a year earlier, and which would ultimately kill him less than five years later—Schubert threw himself headlong into yet another attempt to reboot his career when an opportunity arose to write for Ignaz Schuppanzigh, a violinist and leader of a string quartet that had premiered a number of Beethoven’s legendary scores. Schubert had composed quartets as a teenager to play with his family, working in a vein indebted to Haydn and Mozart, and he produced a single movement of an unfinished quartet in 1820, but none of those works came close to the scope and intensity of the String Quartet in A minor (D.804) he wrote that winter. The Schuppanzigh Quartet performed the premiere in March at Vienna’s famed Musikverein, and the score came out in print before the end of the year—the only piece of chamber music published during Schubert’s lifetime. This quartet’s nickname of “Rosamunde” comes from the fact that Schubert originally composed the Andante as part of the incidental music for a play of that name, a flop from 1823 that marked yet another theatrical failure for Schubert. He also used the same lovely material in a Piano Impromptu in B-flat. Another of Schubert’s songs, Die Götter Griechenlands from 1819, makes an oblique appearance in the Menuetto, sparking the recurring three-note motive and other details. Setting a verse by Schiller about the bygone Greek gods, that aching song begins, “Fair world, where are you? Return again, Sweet springtime of nature!” The contrasting trio section shifts optimistically to the parallel key of A major, and the finale returns to that same tonality to offer a modicum of hopefulness—a sentiment that did not return in the coming weeks when the even starker “Death and the Maiden” Quartet took shape. Anton Webern was Arnold Schoenberg’s first student and most loyal disciple. Their formal course of study only lasted from 1904 to 1908, but Webern continued to follow his mentor with fanatical devotion, once writing to him, “You are set up in my heart as my highest ideal whom I love more and more, to whom I am more and more devoted.” Schoenberg, Webern, and another early pupil, Alban Berg, led the movement that has been dubbed the “Second Viennese School,” referencing them against the glory days of Haydn, Mozart and Beethoven in Vienna. The Five Movements exemplify Webern’s highly distilled musical language. The jumpy first movement strings together wide leaps, extreme changes of tempo and dynamics, and all manner of bowing, plucking and tapping to form a sparkling, aphoristic composite. In contrast, the slow second movement is extreme in the economy of its means, spanning just fourteen muted measures in which the loudest dynamic marking is pianissimo. The third movement is a dancing scherzo that exhausts itself in less than a minute; it prepares another ultra-restrained slow movement, this one featuring the glassy shimmer of tones bowed near the bridge. The fifth and longest movement dwells in persistent quietude, drawing the ear in so close that a single shudder at a forte dynamic seems to explode with startling force. Between 1824 and 1826—a time of failing health, personal crises and total deafness—Beethoven completed five string quartets, plus the massive “Grand Fugue.” The quartet Beethoven considered his greatest (an opinion seconded by Schubert, Wagner, and countless others) was the String Quartet No. 14 in C-sharp minor, composed fourth among the five late quartets, when Beethoven had less than a year to live. After writing the three previous quartets on commission for a noble patron, Beethoven began the next quartet of his own volition, with an eye toward publishing it. In a letter to his publisher asking for an advance of 80 gold ducats (about $15,000 worth of gold in today’s market), Beethoven wrote, “Quartets are now in demand everywhere, and it really seems that our age is taking a step forward.” Work progressed slowly during the first half of 1826, hampered by Beethoven’s abdominal and joint pain and trouble with his eyes. It was also a period of escalating worry over the composer’s nephew and sole heir, Karl, over whom Beethoven had served as guardian since the boy was nine. Karl, then a young man of 20, had been struggling in school and falling into debt. That July, he pawned his watch, bought two pistols, and fired them both at his temple, missing with one bullet and grazing his skull with the other. In the aftermath of the suicide attempt, a friend of Beethoven helped secure Karl a military position in the regiment of one Baron von Stutterheim, for which Beethoven was so grateful that he dedicated his newest quartet to the officer. Built in seven continuous movements that span approximately 40 minutes, the String Quartet No. 14 is a world apart from the polite, four-movement quartet template that Beethoven inherited from Haydn and Mozart. The first movement, marked “Slow, but not rushed, and very expressive,” provides an introspective point of access to the quartet’s wonders to come. The last lingering C-sharp rises without a fuss to the neighboring D, and the second movement begins, ever so nonchalantly, at a pianissimo dynamic. This airy dance in a lilting triplet meter gives way to a brief, transitional third movement. The heart of the quartet is its fourth movement, a theme and variations introduced in a tempo marked as “At a walking pace, but not rushed, and very songlike.” While two last chords still hang in the air, the cello launches the fifth movement with a rude four-note gesture in the bottom of its range. The sixth movement serves as a reflective interlude, recalling the somber tone of the quartet’s opening fugue. A unison C-sharp, hammered at a fortissimo dynamic, completes the return to the home key and sets off the swashbuckling finale.